“Ashkenazi,” “Sephardi,” “Mizrachi” – what do these terms mean, where do they come from, and who are the people behind the terms? Are Ethiopian Jews Sephardic? Are Tunisian Jews Mizrachi? We can no longer today speak of the Sephardim as a homogenous group. Jews who are descended from the Spanish exile in the 15th c. have a different history than Jews who have lived in Iraq for generations. Furthermore, each community has adapted to the culture where they live. The customs of Greek Jews differ considerably from the customs of Turkish Jews. Enter our gateway below to the world of Sephardi and Mizrachi Jewish communities through text, film and photographs. 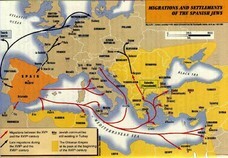 El Otro Camino: 1492 — This film produced by Centropa begins with the Spanish expulsion of 1492 and follows the Jewish migration to the countries of the Balkans, exploring the language, dress, and practice of Jews who settled in Bosnia, Croatia, Serbia and other countries of the former Ottoman Empire. Folk Literature of the Sephardi Jews – A collection of articles and recordings of Sephardic songs collected by professors at the University of California. This site offers excellent articles on “The Oral Literature of Sephardic Jews” and “The Oral Literature of the Hispanic World.” Visitors can listen to audio clips of songs, but the links to the songs are not user friendly. Foundation for the Advancement of Sephardic Studies and Culture – This is a terrific resource for professional articles about Sephardic communities, Ladino, and online exhibits. Harif – UK website that has a good video and film library. See clips of “Forgotten Refugees,” and view a list of suggested films to enrich your curriculum. Judeo-Spanish – A paper delivered by Prof. Haim-Vidal Sephiha at the Université Paris Sorbonne Novelle. The title does not do it justice! The paper discusses routes of exile by the Jews of Spain, literature past and present, and a great deal of other important information. Justice for Jews from Arab Countries – This site provides resources on the legal effort for restitution for Jews forced to flee their country of origin. They have created a curriculum, “The Forgotten Refugees” in cooperation with The David Project (see Education). Project Aladin – Subtitled “The Holocaust: a Call to Conscience,” this website promotes mutual understanding between Muslims and Jews and combats Holocaust. There are pages about the Jewish communities of Arab countries, including: Algeria; Egypt; Iran; Iraq; Morocco; Tunisia; and, Yemen. S & P Central: An Information Hub for Spanish and Portuguese Jewish Communities – This beautiful site contains photos of Sephardi synagogues worldwide, links to sites for Sephardic nusach/liturgical melodies, and other interesting resources. The Sephardi Center – This is a collection of photos, interviews and films about Holocaust survivors from Turkey, Greece and the Balkans. Sephardic History – A page of historical documents and links from the website SephardicGen. The “Other” in “Afghan” Identity: Medieval Jewish Community of Afghanistan – article about the history and origins of the Afghan Jewish community. See the online exhibit “Jewish Algeria” at the Diarna Geo-Museum. The Jewish Population of French North Africa – Article from the US Holocaust Memorial Museum, with a brief discussion of pre-modern history and a greater focus on the 20th c.
Jews of the Maghreb: The History and Culture of North African Jewry – Digital Exhibition of a symposium held at Yale University, 2010. Includes photographs and artwork. Bosnia-Herzegovina — Historical overview from the website Jewish Heritage Europe. The Jewish Community of Bosnia-Herzegovina — Webpage from the European Jewish Congress, with brief history, demographics, and religious and cultural life today. The Sarajevo Haggadah — This digital exhibition from Bosnia includes an historical overview of the haggadah as well as photographs of some of its pages. Survival in Sarajevo: The Story of La Benevolencija — Film, photographs, and teachers guide from Centropa. The story of La Benevolencija, the Jewish community and humanitarian aid center in Sarajevo that served people of all ethnic backgrounds during the city’s siege from 1992 to 1996. Bokhara – This provides early history of the community in a thorough and lengthy article from the Jewish Encyclopedia, published in 1906. 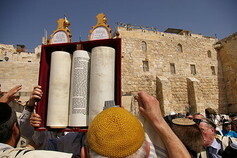 Bukharan Jews – This website includes pages on history, traditions, literature, language and music. Bukharan Jews – See this page on the history of Bukharan Jews. The page is located on the website of the organization Shavei Israel, which is dedicated to helping “lost and hidden Jews” return to Judaism. Uzbekistan – This is a page at the website of the World Jewish Congress on history, demographics, culture and religious life. Association Internationale Nebi Daniel – This site provides historical background (documents, photos) as well as current demographic and legal information. The Jewish Museum of Greece – offers two online exhibitions: “Jewish neighborhoods of Greece” and “Images of Greek Jews” (photographs). The Jewish Museum of Thessaloniki – See their section on the Jews of Thessaloniki for history, as well as information about Judeo-Spanish, synagogue architecture and more. Kol HaKehila – Archive of articles, photos and news about the various Jewish communities of the Greek isles. Preserving Jewish Heritage in Greece (Archaeology Archive) – This is an article about the architecture of Greek synagogues going back to ancient times. Pre-War Communities (at the Central Board of Jewish Communities of Greece) – This section of the site offers brief histories of individual Greek Jewish communities. Rhodes Jewish Museum – Online elements include map of the Juderia, 1930s video of the Juderia, information about the cemetery, Jewish communal organization, and modern history. 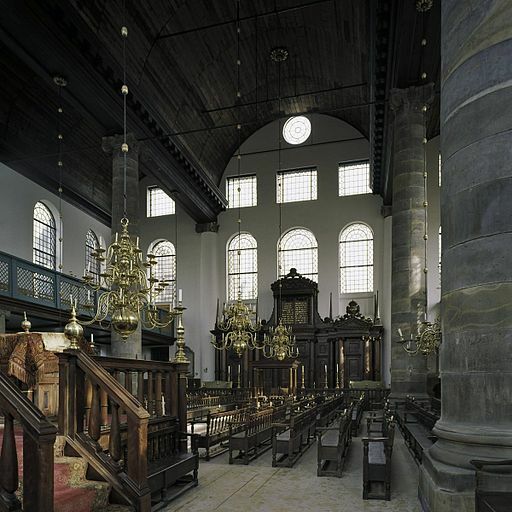 (Synagogues of) Greece – While not up to date, this site offers valuable information and photographs about Greek synagogues. 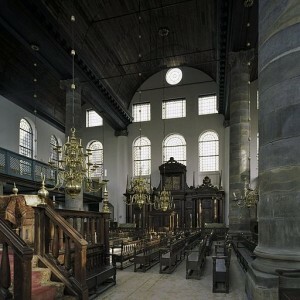 Synagogues360 – This site offers beautiful and clear 3600 images of synagogues. Search by country for five synagogues in Greece. India – Page on the website Kulanu, devoted to “isolated and emerging Jewish communities.” The page contains links to articles on each of the Jewish communities of India. Jews of India – Page of links to articles and bibliography on the website of the Indian-Jewish Association UK. Jewish India – Personal site containing more than thirty links to sites on the Jews of India. A Passage to Jewish India…and Beyond – Author and singer Rahel Musleah’s website, with articles on the history of the B’nai Menashe, as well as customs and rituals. Center for Iranian Jewish Oral History — Photographs and documents related to the Iranian Jewish community. Curriculum Resources for “Light and Shadows” Exhibition (Yeshiva University Museum) – This curriculum guide offers extensive historical background material on the Jews of Iran from ancient to modern days, along with suggestions for teaching about the history and culture of Persian Jews. Esther’s Children: The Jewish Experience in Iran – NPR interview with Houman Sarshar, author of Esther’s Children: A Portrait of Iranian Jews (2002). How Jew-Friendly Persia Became Anti-Semitic Iran – Article from Moment Magazine (2006) explores the complex history of Jews and the Iranian government over thousands of years. Jews of Persia – Personal webpage with more than 20 links on the Jews of Iran. 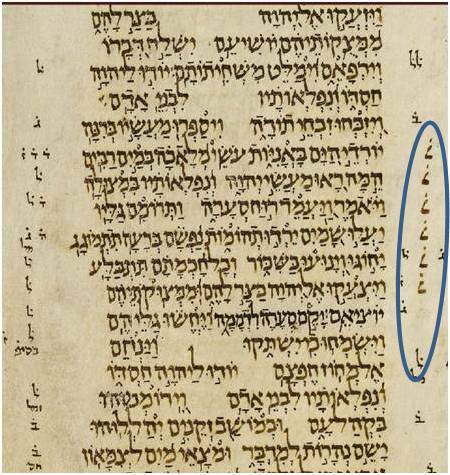 Judeo-Iranian – Article on the Jewish Language Research Website. Discusses the various dialects of Jewish Iranian languages and how they have changed with immigration to Israel and America. Association of Kurdish Jews in Israel (Hebrew) – Provides history of the Jews of Kurdistan as well as articles about individual communities. The Babylonian Jewish Heritage Center – This site is very valuable for its Links section, with links to many more sites on Iraqi Jewish history, as well as general history of Sephardic Jews. Book Discussion on The Farhud: Roots of the Arab-Nazi Alliance During the Holocaust– On C-Span, interview with author Edwin Black about his book. The Farhud – Article at the US Holocaust Memorial Museum. Preserving the Iraqi Jewish Archive — Site maintained by the National Archives to showcase the items sent to the US by the US army and the Iraqi government and restored at the Archives. The site includes information on the restoration process, as well as an online exhibit and digitized collection of artifacts. 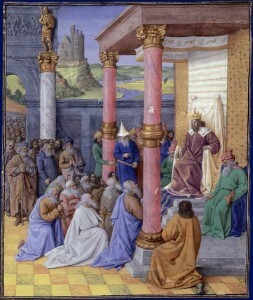 2,000 Years of Jewish Life in Morocco: An Epic Journey – Audio recording of an international symposium in May, 2011. A Brief Social History of the Jews in Morocco – Well documented article on a personal website that contains artwork, extensive video library and literature. 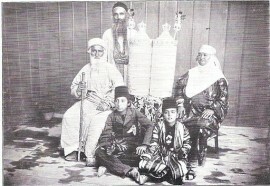 Jewish Morocco – Personal page containing many links. There are many websites set up by expatriated Moroccan Jews about their homeland. These are worthwhile as personal testimonies of Jewish life in Morocco, as well as for the photos and documents they offer. 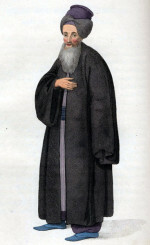 Morocco – Extensive article in the Jewish Encyclopedia (1906), with images. Morocco: Nineteenth and Twentieth Centuries – From Jewish Women: A Comprehensive Historical Encyclopedia, article about Moroccan women’s lives. Mystic Flower — Blog by visiting scholar Vanessa Paloma, in French, English, Ladino, with songs and stories from traditional and contemporary Moroccan Jewish communities. Sephardic Pizmonim Project – Website dedicated to preserving the liturgy of the Jewish community of Aleppo, Syria. 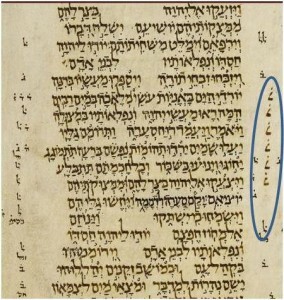 This is an extensive site developed as an accompaniment to “Sefer Shir Ushbaha Hallel VeZimrah.” The site offers recordings, historical articles, and links. Jewish Community of Thessaloniki – From 1997, this site offers articles about the community’s history, culture, and organizations. Reading Ladino in Greece (podcast) – Interview on the website of the Forward with Aron Rodrigue and Sarah Abrevaya Stein about their book, A Jewish Voice from Ottoman Salonica: The Ladino Memoir of Sa’adi Besalel a-Levi. See also Salonica Stories, another podcast with the authors from Tablet Magazine. Salonika: Female Education at the End of the Nineteenth Century – This is an article from Jewish Women: A Comprehensive Historical Encyclopedia at the Jewish Women’s Archive online. Traces of History: The Jewish Community of Salonika – See this lesson plan for students in grades 9-12 on the website of Yad Vashem. It includes links to video testimonies, articles in the Yad Vashem encyclopedia and Jewish life in Salonika today. The Jewish Community of Tunisia – Page from the European Jewish Congress which describes the history, demography, and culture of Tunisian Jews. Jewish Tunisia – Personal website with more than 20 links about Tunisian Jews. The Jews of Algeria, Morocco and Tunisia – Page from Yad Vashem which focuses on the condition of N. African Jews during the Holocaust. Jimena Tunisian Experience – This is a beautiful section from the Jimena website about the history of Tunisian Jews. It includes photos, articles, and up to date news. Tunis – Detailed history of Tunisian Jews from the Jewish Encyclopedia (1906), covering Roman times to the early 20th c.
Guler Orgun: A Turkish-Jewish-Muslim Tale – From Centropa, this is the story of a woman from Istanbul and her family’s history dating back to Spain. See the 16 minute film, as well as her interview. History of the Turkish Jews – This site offers an in-depth history, as well as information about synagogues. The History of Turkish Jews – By Naim Guleryuz at the Sephardi Center, this article covers the history from pre-1492 to present day. The Jewish Museum of Turkey – This is a page on the history of Turkish Jews. The website also offers an index of articles about Turkish Jews. Jewish Turkey – Comprehensive set of more than 30 links at a personal webpage. The Ottoman Empire: How Jews Lived Under the Turks – Article by Eli Barnavi, professor of Jewish History at Tel Aviv University. Turkey: Ottoman and Post Ottoman – Article on Jewish women’s lives in Turkey, from the Jewish Women: A Comprehensive Historical Encyclopedia at the Jewish Women’s Archive. The open-source, single site educational portal for teachers of Jewish studies. Check back regularly for updates and links! Copyright © 2017 Jewish Teacher Project. Site by Mother, Baker, Website Maker. All Rights Reserved.